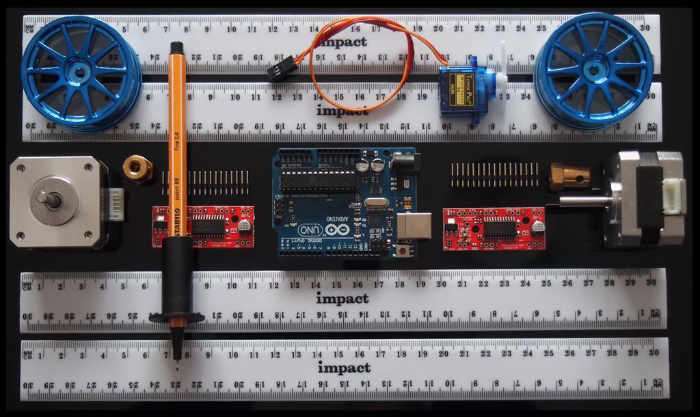 Electronics enthusiasts looking for a new project to keep them busy this weekend may be interested in this excellent Arduino pen plotter which has been created using for rulers, 2 x NEMA 17 stepper motors, a pair of EasyDriver Modules and a little Arduino hardware and programming. 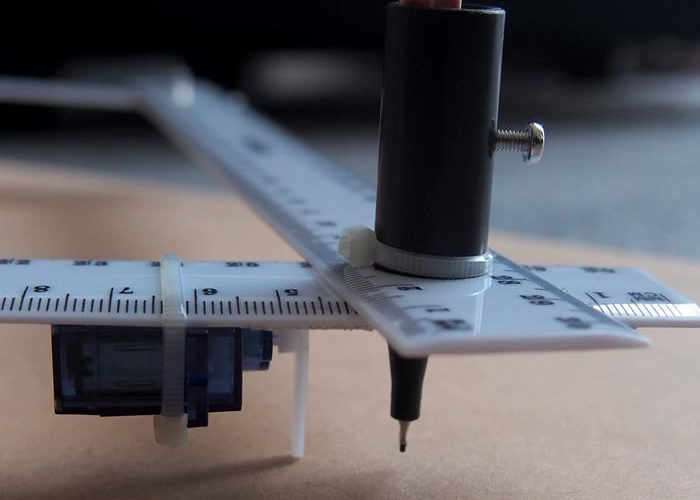 Kindly its creator Instructable user “Lingib” has published full instructions, and details on how to create your very own CNC Arduino powered pen plotter, via the link below. Construction is simple. All you need is a wood saw, three twist drills, a screw-driver, a “rat-tail” file, and a soldering iron. While the software only supports point-to-point plotting, the plotter resolution and accuracy is more than sufficient for its intended purpose of creating water-color outlines.